Build a neural network that classifies objects from images (convolutional neural network). Use a generative adversarial network (GAN) to generate novel faces. 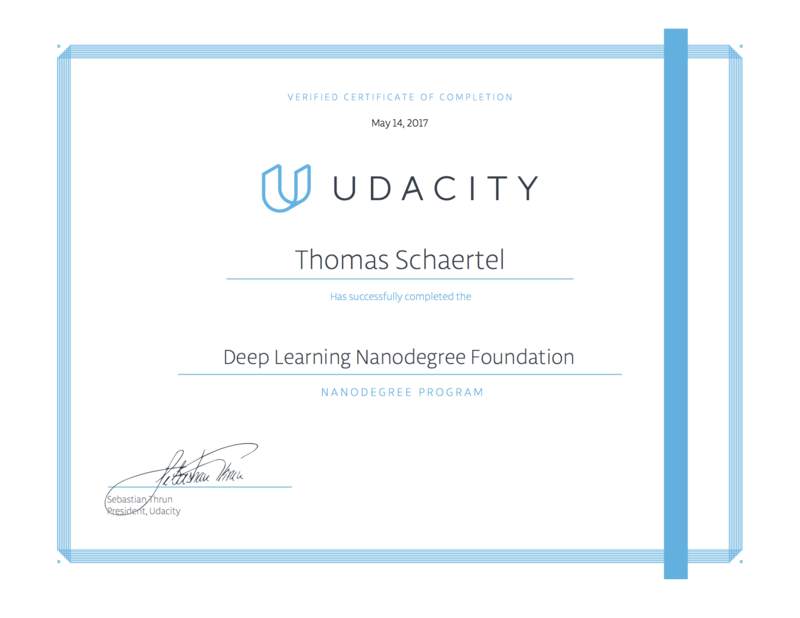 It was amazing, what can be done nowadays by machine learning/deep learning. A couple of years ago I graduated the artificial intelligence (AI) class by edX | BerkeleyX with Pieter Abbeel and Dan Klein. It’s really amazing what can be done with DL now compared to the exact understanding of search by A* or alpha-beta pruning to mention a few techniques from AI. It’s unbelievable what can be done now, without programming the computer specifically to the domain with fixed code, instead rely on learning the features by himself. 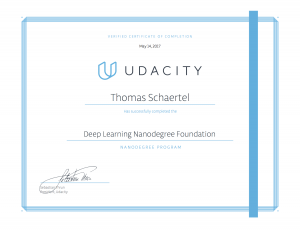 But as always, this is just the start of a journey: There is more into those subjects now, be it Self-Driving Cars, Robotics, or another brush up in Artificial Intelligence or Machine Learning. I’ll keep you informed about my endeavours. But it also looks like I need to invest in local GPU hardware to speed things up!